“Content” includes, but is not limited to, all text, photographs, software, animation files, graphics, video and audio files and anything else contained in this Website. “User” includes, but is not limited to, any person who accesses this Website by any means whatsoever, including, but not limited to, legal, illegal, authorized and unauthorized means. Hindustan Zinc Limited may assign its rights or obligations under this Agreement at any time without notice to Users. Either Hindustan Zinc Limited or the User may terminate this Agreement at any time, either with or without cause. The User may terminate this Agreement by ceasing to use this Website. The following clauses of this Agreement will survive any termination by either party: II, III, IV, V, VI and VII. The Content of this Website is owned by Hindustan Zinc Limited or is made available by permission of the owner and is protected by domestic and international copyright laws. The trademark is owned by Hindustan Zinc Limited. The use of this Website grants no interest, whether proprietary, license, or otherwise, in the intellectual property rights, or any other rights which may exist or are hereafter developed in respect of any portion of the Website or it’s Content. The User may freely download, copy, display, exhibit, share, or otherwise distribute the Content of this Website for non-commercial purposes only. However, on any such downloading, copying, display, exhibition, sharing or distribution, the User must explicitly acknowledge Hindustan Zinc as the provider of such Content. Hindustan Zinc reserves the right to require the User to delete, destroy or otherwise remove any content that is used in a manner that in Hindustan Zinc’s opinion is contrary or otherwise inappropriate, derogatory or offensive. By posting via email or otherwise any Content, trade secrets, or know-how to this Website, including electronic mail, the User grants to Hindustan Zinc a perpetual, non-exclusive, irrevocable, worldwide, royalty-free right and license to use, download, upload, copy, exhibit, display, distribute, publish, post to any other public forum, perform, sell, alter, modify, change, sub-license, create derivative works from and otherwise treat as its own such Content, trade secrets or know-how in whatever manner Hindustan Zinc Limited shall, in its sole discretion, deem appropriate without any form of recognition, credit, acknowledgment, reward or compensation whatsoever for the User’s contribution of such Content, trade secrets, or know-how to Hindustan Zinc Limited. Furthermore, Hindustan Zinc, its subsidiaries, affiliates, contractors, agents and/or employees will in no way be responsible or liable for damages, whether they be direct, indirect, consequential, incidental, special, punitive, exemplary or general damages, contribution or indemnity of any kind whatsoever, howsoever caused, resulting from any alterations or additions to its goods, products, programs, promotions and/or services which may resemble any Content, trade secrets, or know-how posted to this Website, including electronic mail, by any User. Furthermore, by posting any Content, trade secrets, or know-how to this Website, including electronic mail, the User represents and warrants that such Content, trade secrets, or know-how is his or her own work, is non-confidential, and its use by Hindustan Zinc in no way violates the intellectual property or other rights of any third parties. The duty to ensure non-infringement of the rights of any third parties rests solely with the User. The User agrees to indemnify, contribute to, and hold harmless Hindustan Zinc, its subsidiaries, affiliates, contractors, agents and/or employees against any liability, be it civil, criminal, or quasi-criminal, resulting from the use, transfer or sub-license by Hindustan Zinc of any Content, trade secrets or know-how provided to Hindustan Zinc by the User. This indemnification shall extend and apply to any payment or other agreement made by Hindustan Zinc, its subsidiaries, affiliates, contractors, agents and/or employees in settlement and/or satisfaction of any such claim or potential claim, whether such settlement and/or satisfaction is either full or partial, and whether the payment or other agreement is made or concluded either prior to or following the institution of proceedings against Hindustan Zinc, its subsidiaries, affiliates, contractors, agents and/or employees. As part of this indemnification, the User agrees to co-operate with all reasonable requests made by Hindustan Zinc, its subsidiaries, affiliates, contractors, agents and/or employees. There are certain links on this Website which will lead the User to other sites on the World Wide Web. These links are provided for convenience only, and a link to any other Website should not be taken to imply any endorsement of any other Website by Hindustan Zinc, its subsidiaries, affiliates, contractors, agents and/or employees. Hindustan Zinc Limited, its subsidiaries, affiliates, contractors, agents and/or employees are in no way responsible or liable for any damages whether they be direct, indirect, consequential, incidental, special, punitive, exemplary or general damages, contribution or indemnity, of any kind whatsoever, howsoever caused, (including, but not limited to, breach of contract, loss of profit, business interruption, loss of business data or information, negligence or other tortious behaviour, deletion, error, defect, omission, or destruction of the Content of the Website, unauthorized access to, or alteration of, the Content of this Website by third parties, or employees, or agents of Hindustan Zinc Limited, transmission of material, or any other cause of action, regardless of whether it arises at law or in equity) arising out of the use or non-availability of this Website, or reliance on the Content contained herein, resulting from any decision taken on the basis of information provided through the Website, resulting from the Content of other websites to which any User links through this Website, or resulting from any such change, restriction, or termination of this Website or resulting from the incompatibility of any software downloaded, copied, or otherwise originating from this Website. This limitation of liability shall apply even if Hindustan Zinc Limited, its subsidiaries, affiliates; contractors, agents and/or employees have been advised of the possibility of the damages referred in this notice. This Website is provided “as is”. Hindustan Zinc Limited, its subsidiaries, affiliates; contractors, agents and/or employees do not warrant that the use of this Website will be uninterrupted, error-free, stable or suitable for all Users. Hindustan Zinc, its subsidiaries, affiliates, contractors, agents and/or employees make no warranties, either express or implied, about the Website, its availability, or its operation Without limiting the generality of the foregoing, this includes implied warranties of merchantability, fitness for a particular purpose, expectation of privacy, or non-infringement. Any User who accesses this Website does so solely at his or her own risk. 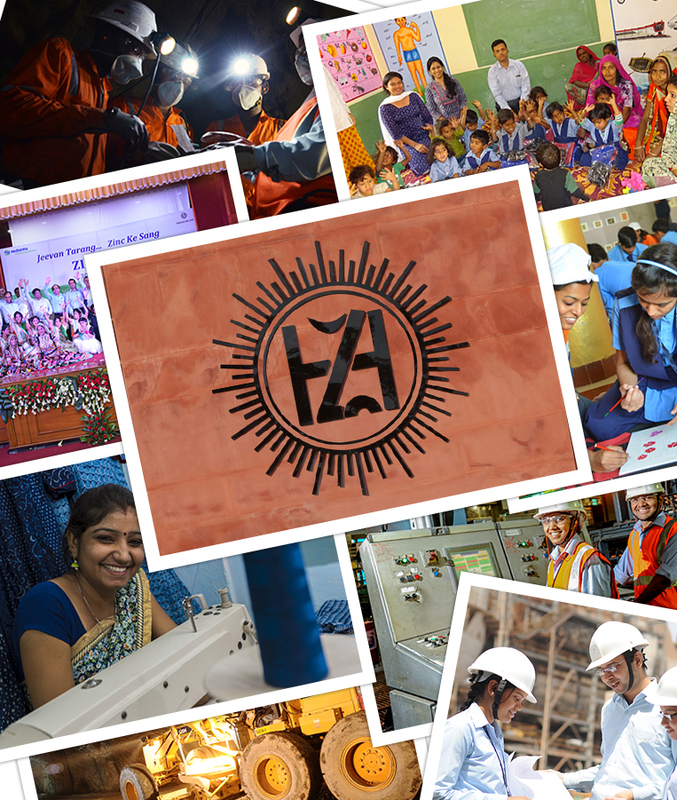 The User agrees to indemnify, contribute to and hold harmless Hindustan Zinc Limited, its subsidiaries, affiliates, contractors, agents, and/or employees, against any liability, be it civil, criminal or quasi-criminal, resulting from any violation of any law by the User in their use of this Website. The User shall be responsible to the full extent of any liability, payment or other agreement made by Hindustan Zinc Limited, its subsidiaries, affiliates, contractors, agents and/or employees, in settlement and/or satisfaction of any claim or potential claim, whether such payment or agreement is made or concluded prior to or following the institution of formal proceedings against Hindustan Zinc Limited, its subsidiaries, affiliates, contractors, agents and/or employees.